If you are an allergy sufferer or know someone who is, then you are familiar with the itchy eyes, runny nose, eczema, and rashes caused by allergies. An estimated 60 million Americans suffer from allergies, and a recent report prepared by the Institute of Medicine of the National Academies concluded that exposure to certain allergy-causing substances, or allergens, can also lead to asthma in children. While researchers believe that certain individuals have an inherited tendency toward allergies and asthma, studies also show that specific steps can be taken to reduce or eliminate allergens. The droppings of dust mites, those microscopic monsters that colonize bedding, curtains and carpets, are significant allergens that have been linked to rapidly rising rates of allergies and asthma. Every home has dust mites and even frequent vacuuming won’t eliminate them, or their droppings, altogether. 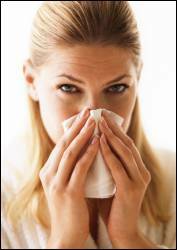 The good news is that there is something you can do to help prevent, or reduce allergies, asthma and their symptoms. Some researchers believe that eliminating the sources of allergens when children are young may help reduce the likelihood that they will develop allergies. And studies have shown that, even if someone in your home already has allergies, they may experience improvement after allergens have been reduced or eliminated. Make sure that any throw rugs used in your home are washed weekly in hot water. Select furnishings that make limited use of upholstery. Real hardwood furnishings are attractive and comfortable, and are not welcoming to dust mites. Keep humidity levels in your home at a steady 50 percent or lower. Dust mites can’t survive when the humidity level is this low.